March 3rd, 2019: Development on Version 1.1 has been completed. So you can expect the release of the update to happen later this month. December 16th, 2018: Version 1.0.1 has been released and the 2019 road map for updates has been created. December 2nd, 2018: Development on Version 1.0.1 has started and the plan is to release it before the end of the year. This will be a small update focusing on bug fixes and support for the new iPad Pro devices. November 3rd, 2018: Version 1.0 has been approved for release so please look forward to the application being released later this month. 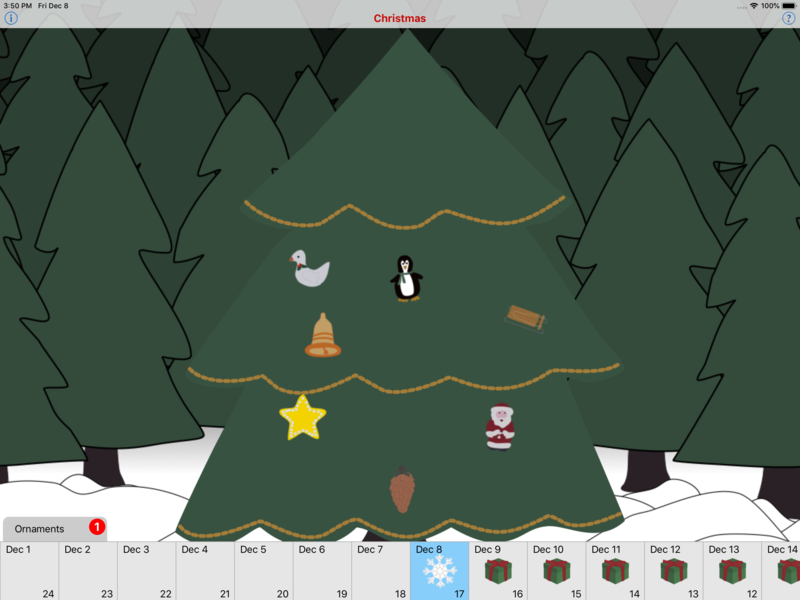 CalAdvent in a nutshell is a theme based Advent Calendar. However, it is not limited to be used for counting down to Christmas. 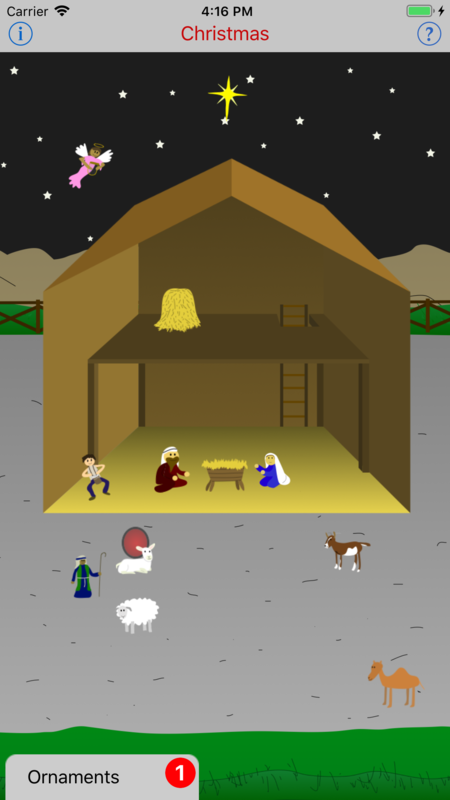 Countdown to Christmas or any other date you want with this app. By default the app is configured for your Advent Calendar needs, but the end date, number of days and themes can be changed to match your countdown needs. 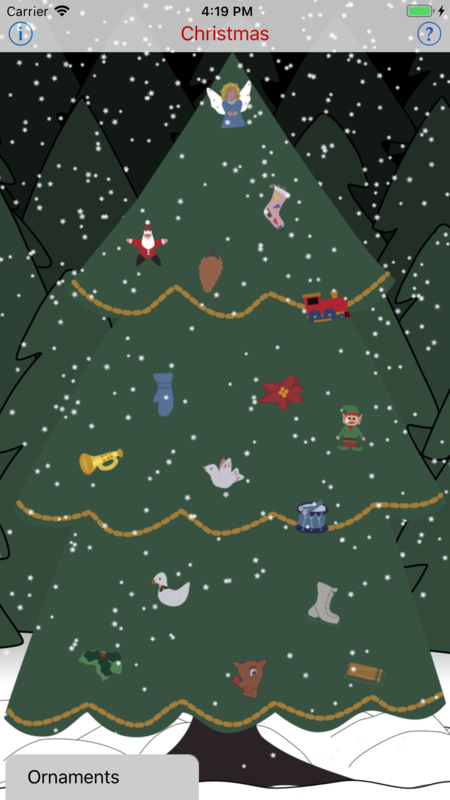 For up to 31 days before the target date, one ornament will be unlocked a day allowing it to be placed on the tree/display. You can admire or rearrange the ornaments at anytime. You can even shake the device to trigger a celebration that can change the countdown scene into a snow globe. 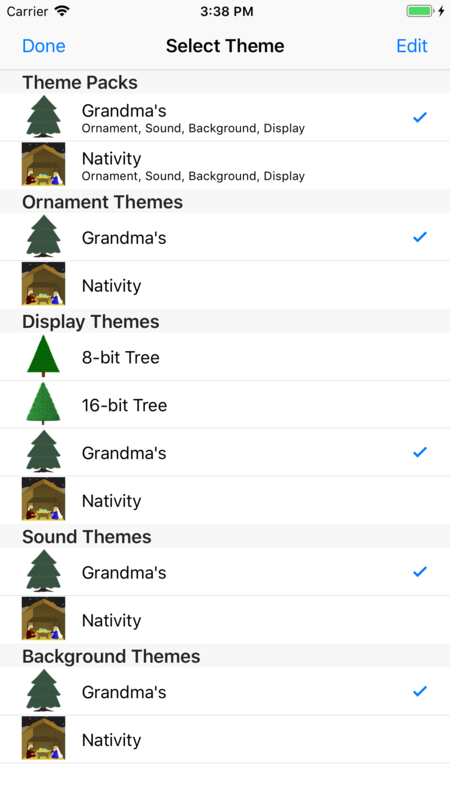 The application comes built in with a few themes (with more to come), but it also supports importing custom made theme packs that were created and exported from "CalAdvent Plus" (which is only available in the US).